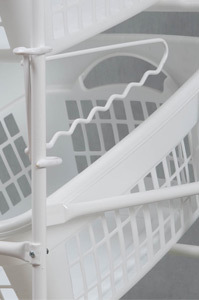 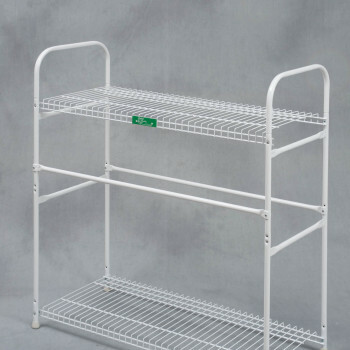 Basket Buddy is an all steel construction with a durable, white powder coat finish. 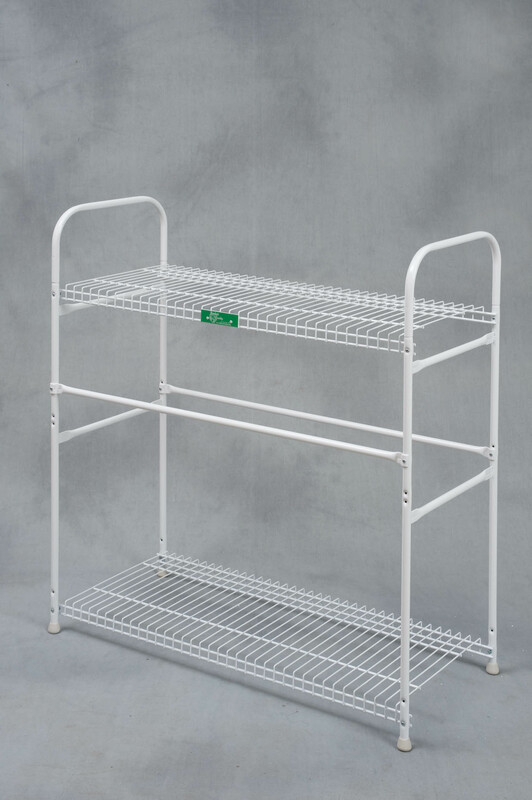 It’s designed for maximum visibility and handling of contents. 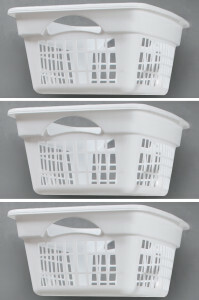 It comes in six different modules and is fully customizable with additional accessory options. 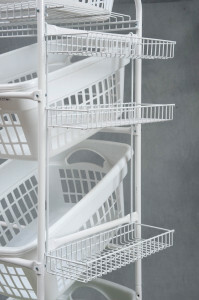 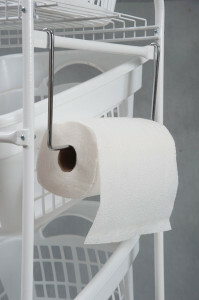 It’s great for recyclables, laundry and storage. 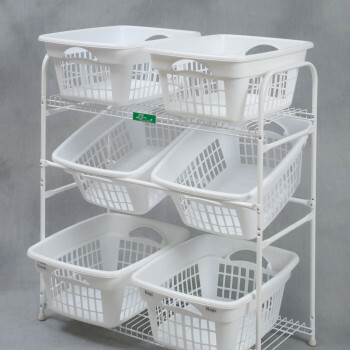 Holds 6 Laundry Baskets. 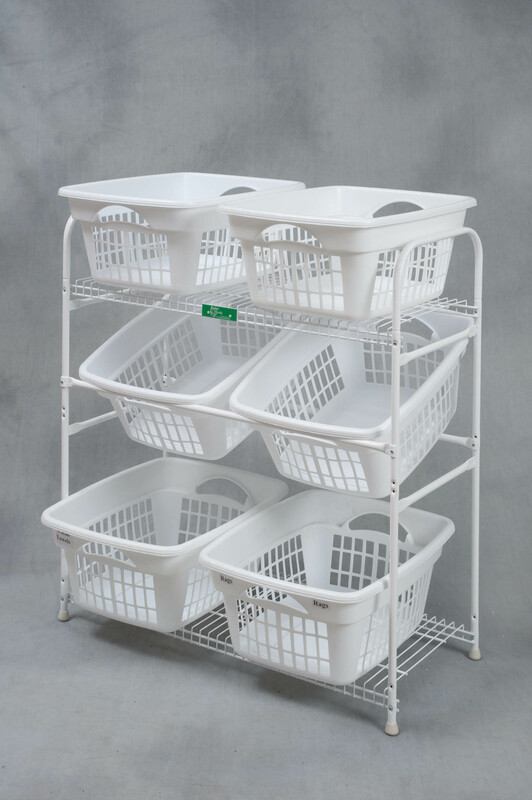 Baskets sold separately.